Is your unfinished basement currently the home of all your miscellaneous belongings and unpacked boxes from when you moved in 10 years ago? 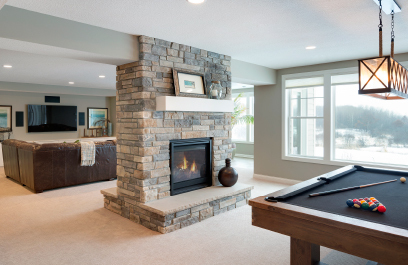 Finishing your basement gives your family great additional space to spend time together! A proper design and storage plan will transform this space into a beautiful living space you’ve been searching for. Each basement is unique and has tons of potential once finished. 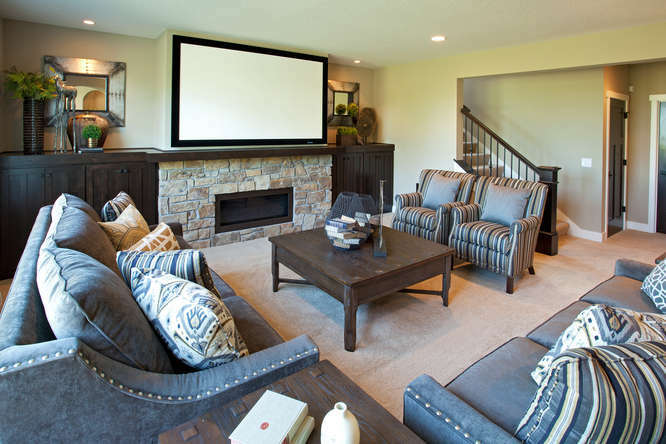 Below are a few things to consider when finishing your basement. INSPECTION – Before you start anything, do a detailed inspection of the space. Have a professional come in and test for moisture, check floor system, windows, ventilation, etc. and make sure all is up to code. It’s good to make a list of anything that needs to be fixed before starting your transformation. LAYOUT – Where to begin?! Make a list of your must-haves and figure out what your primary use of the space will be. Where will most socializing occur? Do you want any additional bedrooms? Do you want to include another bathroom or snack/wet bar? Think about the details and what will make the most sense. 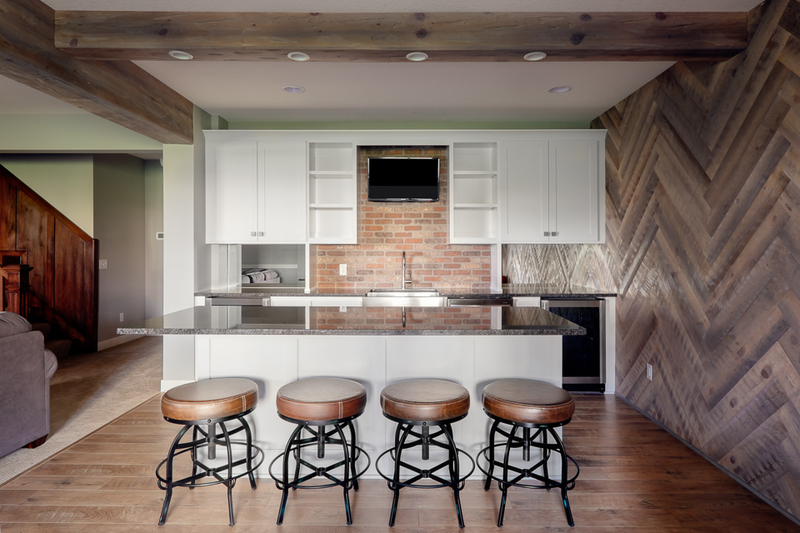 A few to consider could be putting your socializing area close to natural light, placing bedrooms where egress windows would look the most appealing, or creating your bar space so it is accessible without crossing in front of the TV. The options are endless when it comes to design! PLUMBING – If you plan to add a bathroom to the basement and it isn’t roughed-in, figure out where the main drain is and try to put the new bathroom near it for the easiest installation. If you don’t like the location, there are plenty of alternatives, but cost may be added in order to locate the proper piping and drainage for install. LIGHTING – Whether you have a walkout, lookout, or full basement application, lighting is something to consider. With lookout or full basements, natural light is in short supply! 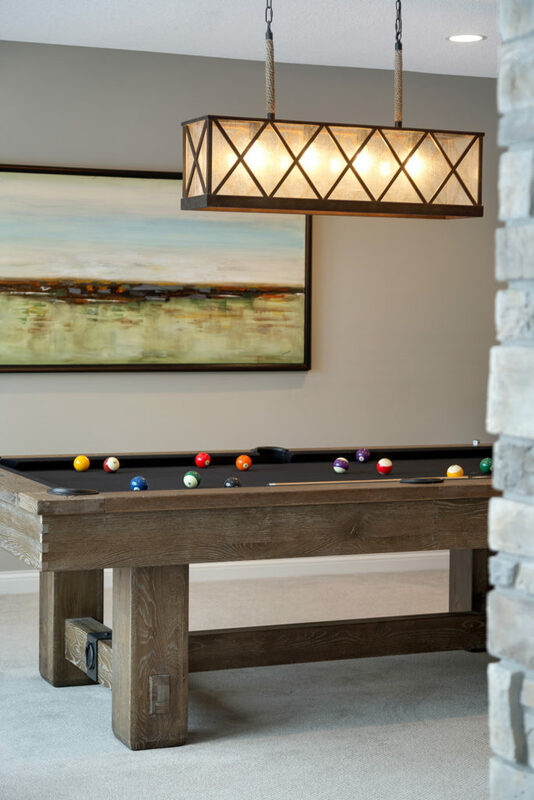 To get increased light, think about adding an egress window or maximizing your recessed lighting to make your basement a place where people want to hang out (instead of a dark dungeon!). Adding wall sconces is another great option for a light source! CEILINGS – Remember that there is ductwork and wires to conceal when finishing your basement. Instead of dropping the ceiling, figure out a way to consolidate mechanical and electrical to one area so you can maximize the ceiling height in other areas. WATERPROOFING – If you don’t already have a waterproofing system in place, get one! Make sure you have a floor drain (or two) installed with a sump pump. Also consider doing tile vs. carpet for your flooring to avoid having to replace anything due to potential moisture. STORAGE – Be smart about your storage! You will need to find a home for all those boxes and miscellaneous items currently occupying the space. A few ideas would be to keep space in your mechanical room for some added shelving and storage, or create built-in cabinetry throughout for additional storage needs. 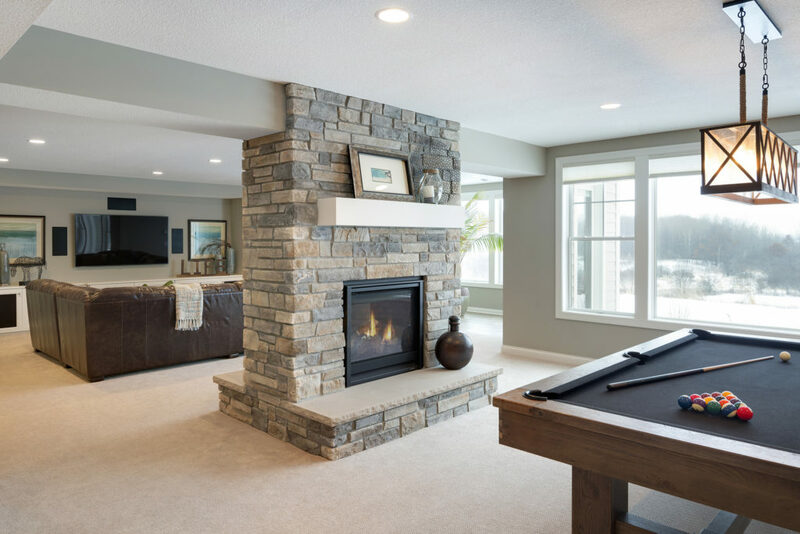 These are just a few things to consider as you start to think about finishing your basement. When you are ready to get started on a plan for renovation, give us a call! From finished basements to kitchens, bathrooms, or even full home renovations, we’d love to help with your remodel project!